Since the day I picked up my 240, I noticed the impact of the soggy, old, 180,000 mile engine mounts. Fresh original mounts would probably help but even those are a bit soggy. 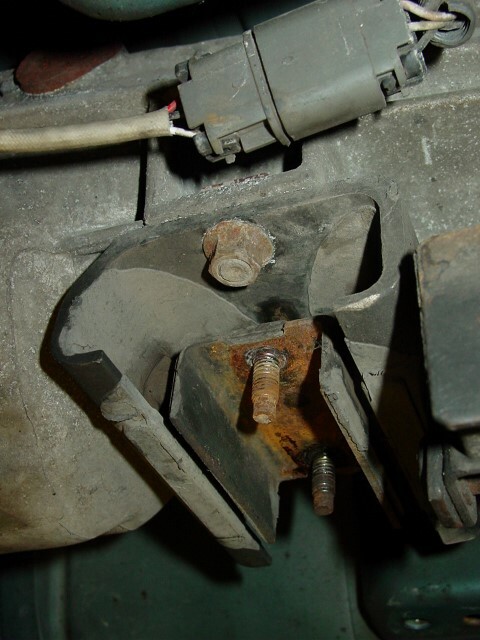 What are the effects of old engine mounts? Very spongy response from the engine. You may notice that you get a bog-snap take off that probably drives you crazy. What’s the solution? You have at least two options. One is to use the same technique I outlined in my homemade engine mount write-up. Simply fill in all the gaps with the window weld. You could possibly do it with the mounts in the car if you really want to try. 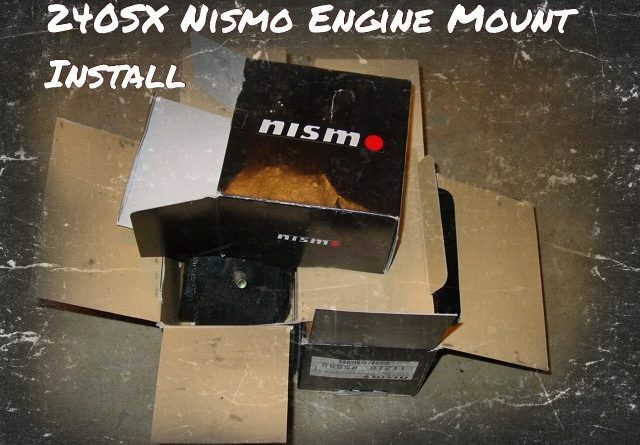 Another option is Nismo’s engine mount upgrade for the 240SX equipped with the KA or SR engines. Rather than use polyurethane, Derlin or some other rigid material, Nismo likes to offer upgraded bushings with a higher durometer rubber. 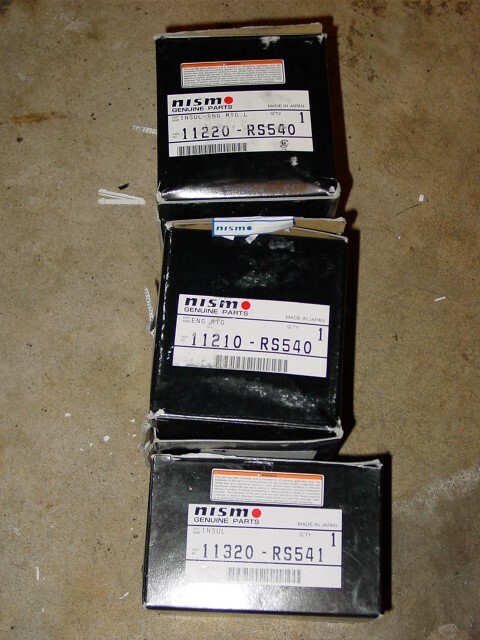 You’ll find Nismo versions of subframe, control arm, and other bushings for most Nissan offerings. 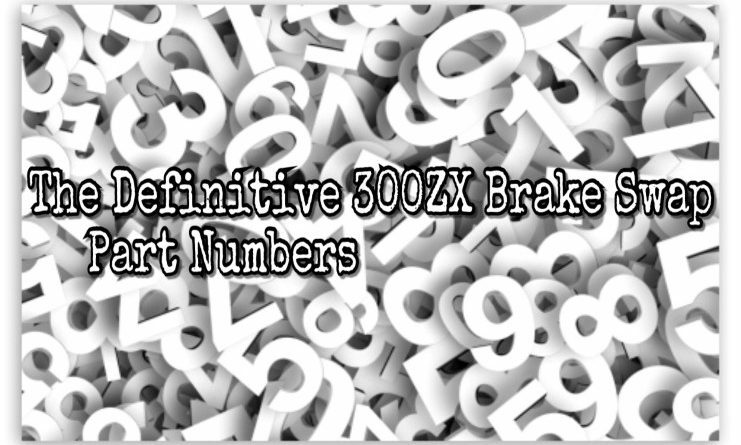 Using the stiffer rubber allows for improved performance and control while maintaining some civility in the driving experience. Rock hard engine mounds can be annoying! As you can see, the mounts look identical. I had contemplated filling the new mounts with window weld, but decided to wait and see how they felt compared to stock given the fact that new mounts are stiffer than the originals. Don’t forget to order the transmission mount! 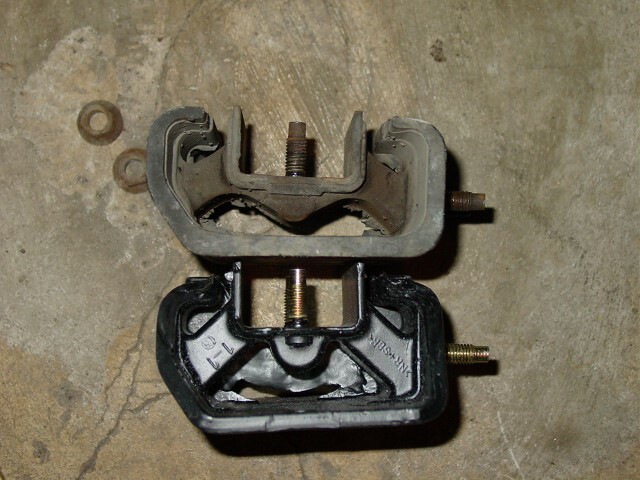 Although not directly tied to engine movement, this mount sees forces from the driveline and compound the sponginess generated by the engine mounts. Start by raising and securing the front of the car. Remove both of the nuts. With both nuts removed, move on to the passenger side mount. 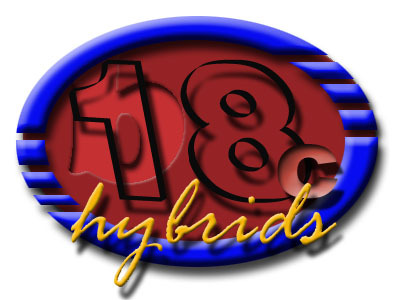 The intake manifold and oil filter provide the extra challenge on the passenger side. 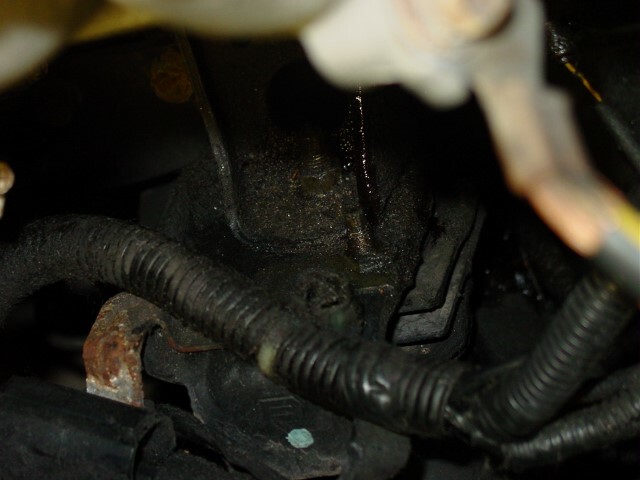 You’ll need to remove the oil filter on the passenger’s side to get better access to the mount. With the filter out of the way, remove all of the nuts on top of the mount. You’ll need to find the nut located on the bottom of the mount. 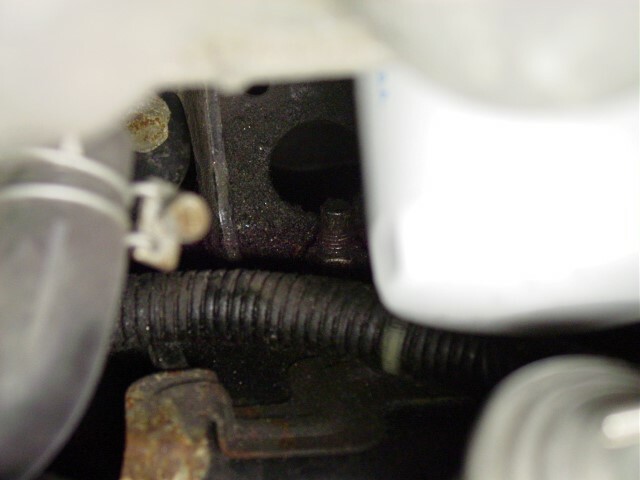 If you look between the steering rack (boot in picture) and the sub frame, you’ll see the nut. Remove both the nut from the passenger and driver’s side. Raising the engine can be difficult. 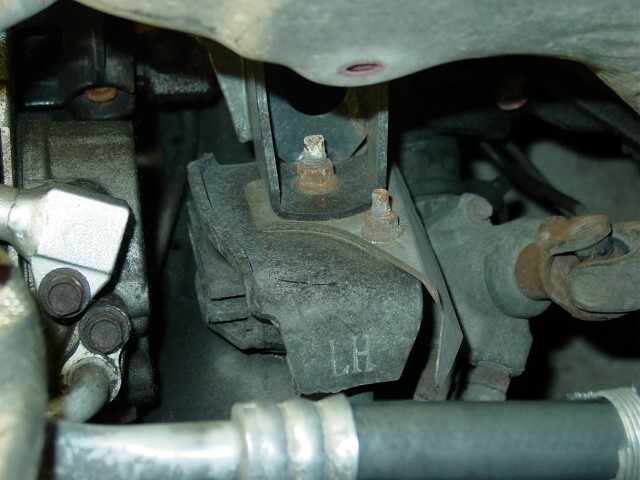 Use a jack and a section of 2×4 about a foot long, raise the engine by the alternator bracket for the right side and the AC bracket for the driver’s side. Raising the engine this way, will allow it to twist giving you more room to remove the mount. Slide the old mount out and the new one in. Reattach all of the mounting hardware. 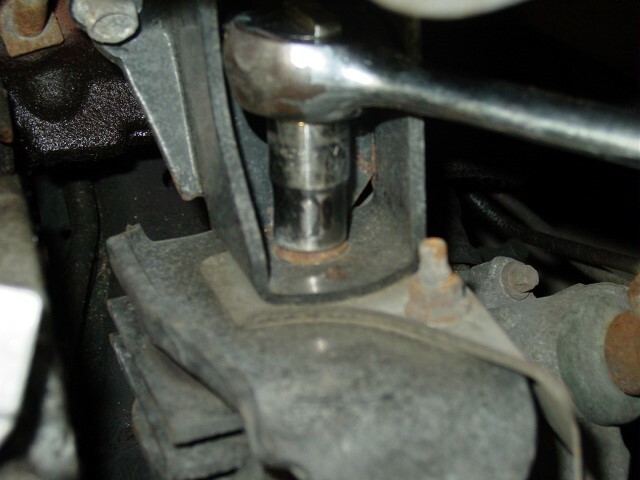 For the transmission mount, you’ll need to raise the back of the transmission using a jack. 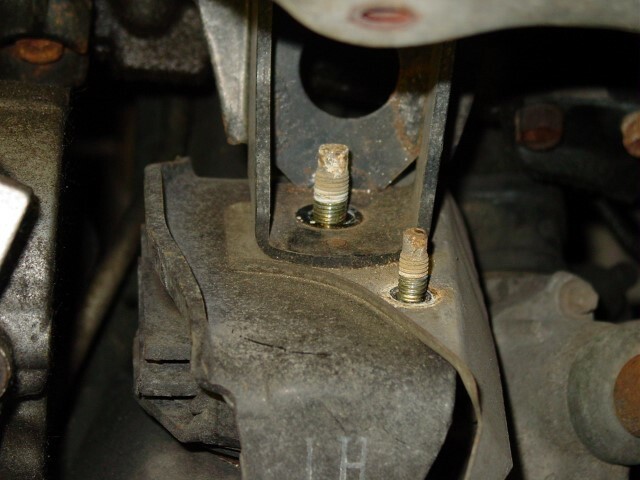 Remove 4 bolts that secure the cross-member to the bottom of the car. 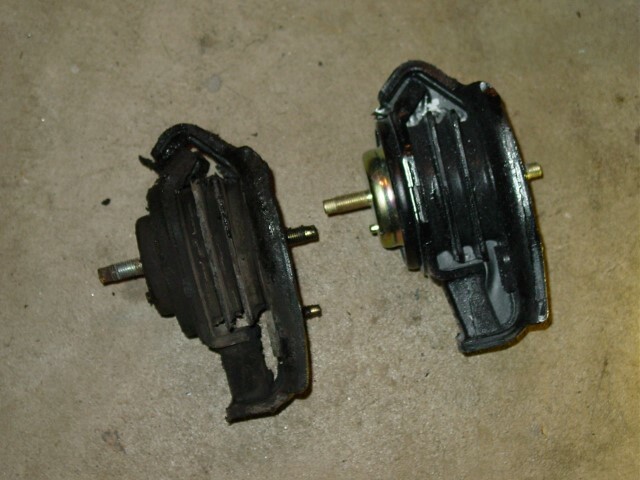 Then, remove both nuts that secure the cross-member to the transmission. Lower the cross member and set it aside. 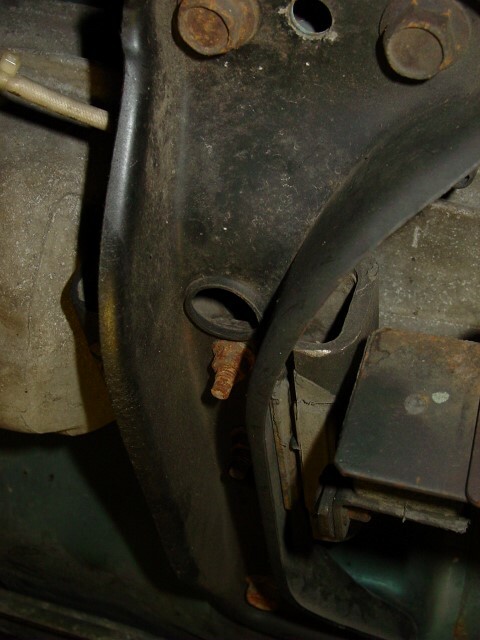 You will also need to remove the nuts that secure the exhaust mount to the transmission mount. 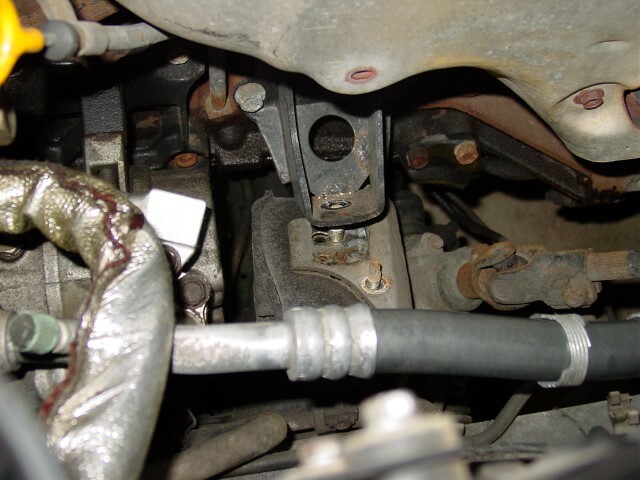 With the cross-member out of the way, remove the two bolts that secure the mount to the transmission. Bolt on the new mount and as always, the installation is the opposite of removal! You may find that the new mount will raise the transmission. Use the your jack to move it up while you bolt the cross member back into place. The new mounts are MUCH stiffer than the original units. 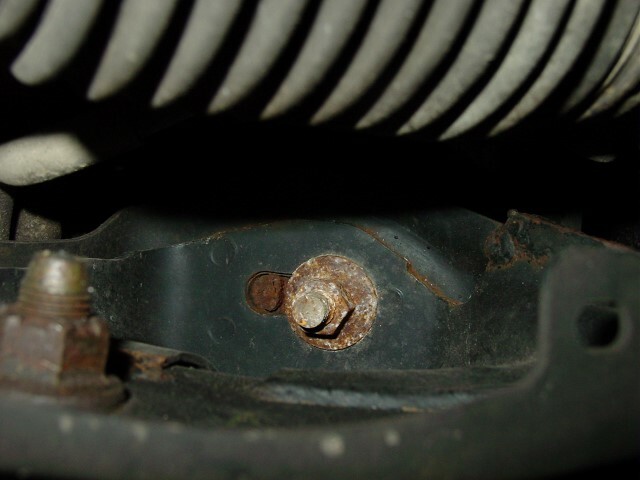 Vibration inside the car is minimal and the improvement is very noticeable. The new transmission mount moved the shifter up noticeably which was a nice surprise. 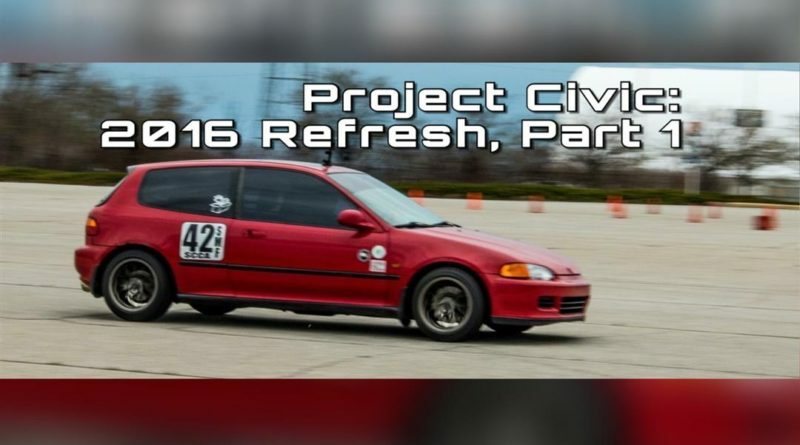 Launching the car is much smoother whether you are accelerating casually or aggressively. Nearly all of the slop has vanished. You could take the time to fill the mounts and make them even stiffer, but I didn’t feel that it was necessary. 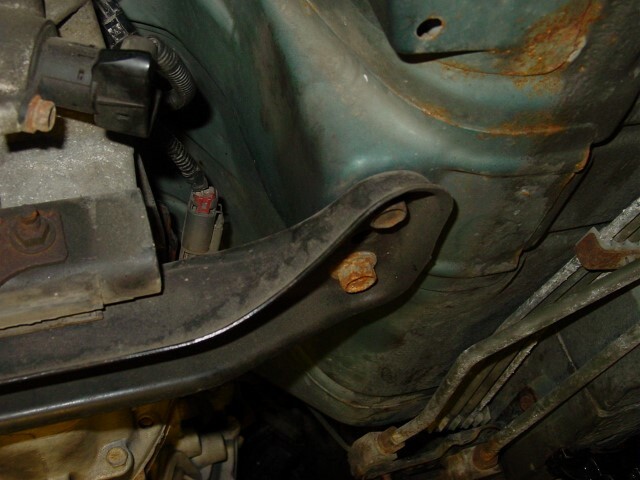 I’ve experienced a 240SX where the stock mounts were filled with window weld material. Vibrations in the interior were much more pronounced. 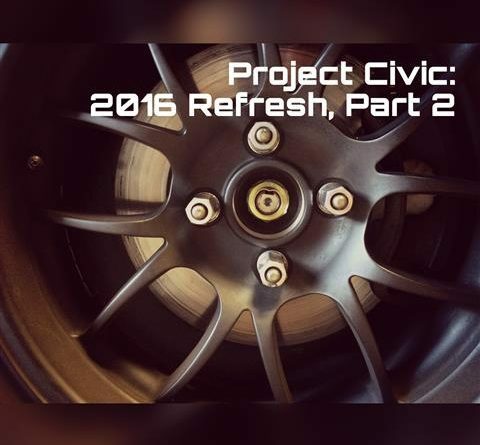 It seems like the Nismo mounts were designed to avoid that problem and still offer a significant improvement. This is definitely an upgrade I recommend! In the end, if you need more, you can fill the gaps with poly urethane. 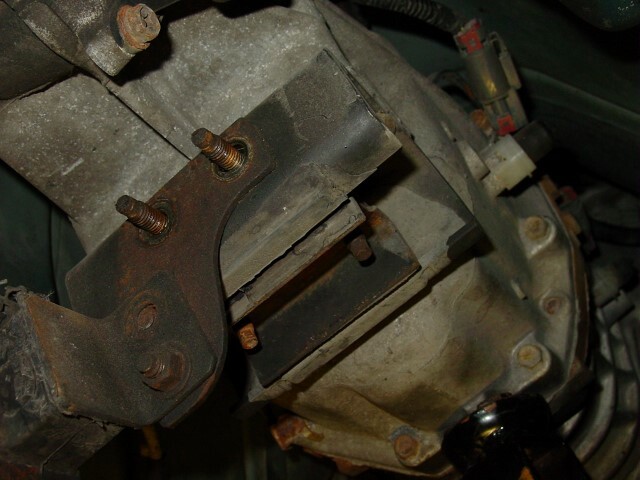 Read about the process in my homemade engine mount page.